The fascinating Texas madrone is abundantly found in Guadalupe Mountains National Park in West Texas. 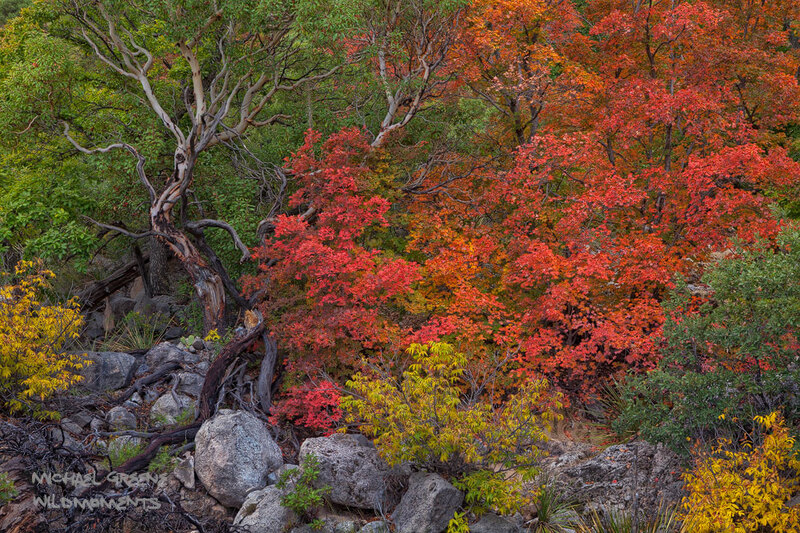 This specimen was captured during peak autumn colors along the Smith Spring Trail. The madrone tree doesn't shed its leaves in the winter and features berries in the fall and flowers in the spring. Photo © copyright by Michael Greene.